Improving one’s home should not only end from the inside you must also start something from the outside. A lot of homes have spaces or patches of land that are not put into good use. Do not worry as gardening is one answer to your unused garden patches and turn lifeless lands to something greener, livelier and healthier. Gardening has a lot of benefits for the definite home makers. Not only is it a way to maximize unused lands it can also be a hobby or a past time. Gardening does not need a college degree or an ample knowledge to start with. If you have the determination and the necessary materials, you can easily start a mini garden on your own home. You can grow a lot of different plants to exotic flowers on your very own garden. You can cultivate patches of land to make it a fruitful place for fruits and vegetables to thrive. There is also a choice of making an herb garden if you do not want fruits or vegetables. The best thing about having a garden of your own is getting crops fresh and pesticide free. Cannot get enough of your favorite vegetables but the supermarket charges an awful lot for a kilo? Then creating your own garden is your answer. Invest your money on seeds than buying those overpriced vegetables and fruits. The possibilities are endless. You might say to yourself that starting a garden is a grueling task. Nevertheless, we provided tips and a little bit of trick to keep you in the right track. First off, assess the size of your future garden. Do you have space for a full length garden or just a patch enough for herbs? Would you like to start off with flowers and plants instead of fruits and vegetables? These questions are important to keep in mind when starting your own garden. Keep in mind that you have to consider the living requirements of certain plants or flowers. Each one has their own needs and be sure to be able to provide those needs in order for them to grow strong and long. There might be a lot of tasks to do before you find yourself done with your garden but either way you have to prioritize. List down all of the necessary tasks that you need to do and sort them out according to its urgency or importance. From there, start doing one thing of your list. Take your time; savor the moment of making your baby garden. One at a time, step by step now. If you have a large patch of land on your disposal, keep in mind that fencing it when it is just starting to grow is not advisable. Let your garden grow and mature before fencing. The reason behind this is you will not be confined by fences when your garden starts to grow out. When filling out your garden with plants or any other variety. Remember that you do not need to fill out the full lot. Select your plants and assess its quality before planting away. It will save you the trouble of caring for multiple growths and let you focus on a small number of healthy ones. 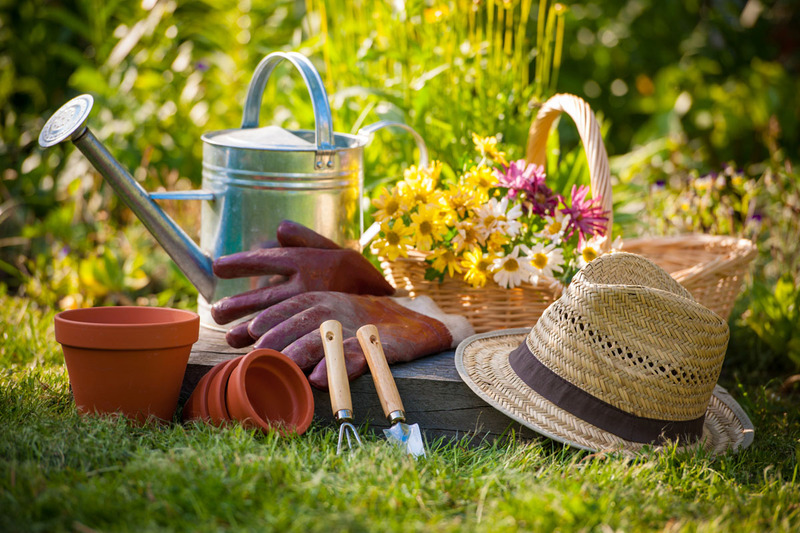 Gardening might not be your first choice of hobby but consider it as one great thing to try. Plant away all your worries and stress!